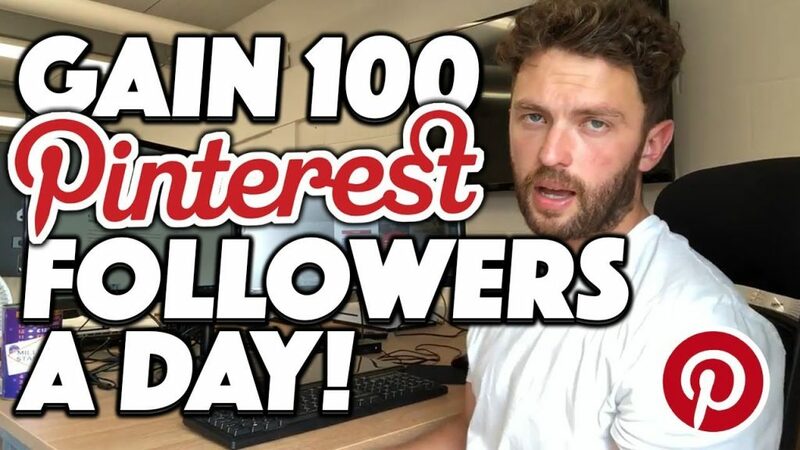 Today I’m going to show you how to get more pinterest followers fast. Growing a pinterest following can allow you to generate free traffic, on repeat. Don’t be fooled into thinking you have to spend money to do so, my step by step method will help you add thousands of followers without spending a thing. At the end of the article i’m going to show you how you can automate this process, enabling you to grow your profile on autopilot. Before we get started, let’s talk about why Pinterest is such a powerful tool, in the world of social media, isn’t Facebook, Twitter and Instagram enough? Every business is different but for me Pinterest is just as important. Pinterest provides the opportunity to grow a following based on relevant, visual content. 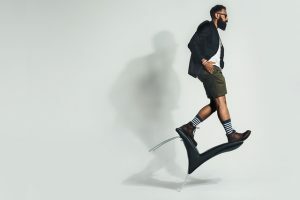 Once you have a following you have the ability to send followers to your target destination with a few clicks of a button, but why is this so useful? 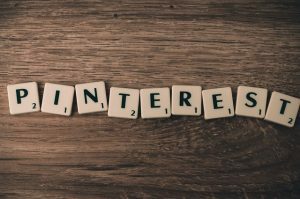 Let’s say you are selling a product, or maybe you are trying to capture an email address, whatever your goal Pinterest can provide you with free “relevant” traffic on repeat. For today’s example, let’s say you are selling muscle building supplements, well with Pinterest you can build a following of people interested in the muscle building niche. All you need to do is provide them with relevant, valuable information on the subject. This is true with any business, whether you are building an affiliate website or growing an amazon business, Pinterest is an incredibly powerful tool. If you build up a Pinterest following of people interested in muscle building, you have a ready-made audience that may be interested in buying your products. Let me show you how you too can get more pinterest followers fast (Spoiler alert: You don’t even have to spend any money). Let’s go through each step, one by one. After you’ve read through the article, i’d recommend watching the explainer video too (you’ll find this at the end of the blog post). You may already have a pinterest account set up, either way here are some useful tips for you think about. Use a profile picture that is relevant to your niche, if you are a business you could use your logo or a photo of yourself if that’s possible. Every business is different, so do what feels right for you. Writing a relevant, keyword rich description on your profile page can help persuade people to follow you, I recommend making use of this! Tell people why they should follow your page! Once you’ve done this you need to start creating some boards, before you start trying to get followers you need a good-looking profile full of useful, relevant content. Before you move onto the next step, aim for five boards each with 40 pins. These boards need to be relevant to your niche, the more useful the better! If you have some of your own infographics, you can use these too. If you are stuck for board ideas, you need to get your thinking cap on. Let me give you some board examples for the “muscle building” niche. This is where you need to get creative, have a think about your niche. If you had an interest in your niche, what sort of boards would you find useful? When you’ve set up your boards you will need to find interesting, infographics to fill them with. Enter keywords into the search bar, these should relate to your niche, for muscle building I would search, healthy recipes, home workouts etc, I’d then pin 40 different good looking infographics onto my first board, once I hit 40 pins, I’d move onto the next board. Aim for 5 – 10 boards before you move onto the next step! Find yourself a few target profiles. To do so, you need to type a related keyword into the search bar, then change the filter to “people”. You can see exactly how to do this in the video at the end of the article. Look for a professional looking examples with 10k+ Followers. Why is this important? Well, these profiles are in the same niche, if your profile and boards look useful there is no reason why their followers might be interested in following your profile. Now you need to start following your target profiles followers, aim to follow no more than 50 – 100 in an hour, if you over do it and it starts to look unnatural, pinterest may stop you being able to follow people for a short amount of time, it’s better to build up organically so you don’t look like a robot. Personally, I don’t have the time to do it every hour, instead I will follow people once in the morning, once at midday and once in the evening. We are all different, but this works for me! Extra tip – Each day you should add a few pins to your boards, when a board reaches 40 pins, move onto the next board, a few pins a day doesn’t take up too much time and it will help you provide your followers with useful, up to date content. Set yourself a goal, within 8 weeks you should aim to have 20 boards with 40 + pins on each. As your pinterest profile grows, it’s importance to think about balance. The long-term goal is to have lots of followers, without following many people but this takes time. To start with focus on building up your boards and your followers. Once you reach a level you are happy with you can start to unfollow, I normally do this when I reach 10,000 followers. Group boards are a powerful tool for generating free traffic, if you build up a good-looking profile you may be invited to join group boards. For those of you that haven’t been invited, here is how you can find and apply to group boards. Please note, before you apply it’s important that your pinterest profile has lots of followers as well as boards, this will improve your chances of acceptance. Getting accepted into a group board means you are able to share your content by pinning, doing this will share your content with all of the group followers. But where do you find these boards? I use a site called pingroupie, this is basically a search engine which helps you to find these wonderful group boards. Use this search engine to find boards that are within your niche, then jot down a shortlist of potential boards that you might want to join. Next you will need a board invite, to do so you will need to find out who the admin is, this is pretty easy to do, the administrator will be the first name to the left-hand side of the contributors. 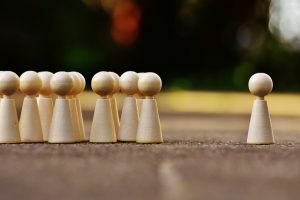 Usually there will be joining instructions within the description of the group board, you may need to complete certain tasks before sending an email to join, each group differs. If there aren’t instructions, click on the administrator’s profile and send them a nice message asking to join. Make them aware of the value you can bring and be sure to promise you will follow all of the rules, make sure you include links to your pinterest profile along with any other social media accounts. The fun begins once you are accepted, make sure you follow the group rules and start pinning! Every group is different, get a feel for the pace, start by putting up one pin a day and work your way up. Keep consistent with the above method and you can make a success of Pinterest. If you want to go a step further, you can outsource this kind of work, if you want to scale your business you need to be spending your time wisely, this method can become pretty boring if you are doing it over and over again! Let me show you how you can outsource this type of work, this will enable you to grow your social media presence on autopilot. Head over to Fiverr, for those of you that don’t know Fiverr is a online marketplace for freelancers. Once on the website, type something like; “virtual assistant” into the search bar and have a look for profiles you like the look of. Setting up a skype interview can sometimes a good idea, this way you can read body language and get a better feel of the candidate. 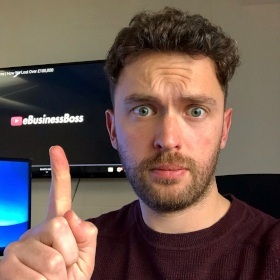 Once you’ve found a freelancer you are happy with you can send them a link to this article and ask them to watch the YouTube video you see below, monitor and review your virtual assistants performance as you go along, trust me a well trained VA is worth their weight in gold. Well, that my friends, is how you get more pinterest followers fast. I hope you’ve enjoyed this article, let me know what you think in the comments below!